Khan Gives Full Support To Protest Crippling London's Businesses. Has He Made A Deal For Them Not To Mention Tube And Bus Pollution levels??? London has always been a world leader in transportation. We had the worlds first underground railway, which has its own contactless form of payment system (Oyster) negating the need for staff at most suburban stations. 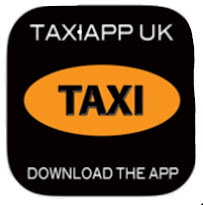 Back in the 17th century under the Lord Protector, we had the world's first regulated Taxi service. 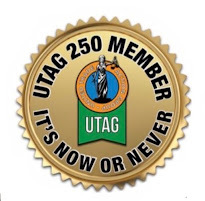 It was in London where the worlds first ever Knowledge examinations were introduced for its Cabbies. It was in London where Taximeters were mandated in every Taxi. It was also a first in London to have every Taxi wheelchair accessible. And also, again London was the first global city to mandate credit card facilities in every Cab. London’s Mayor Ken Livingston, introduced the ambitious ‘Congestion Charging Scheme’. But one thing Ken put into practise was his philosophy that before you can charge for congestion you have to create it, which he did on a massive scale. Road works sprang up out of thin air, left unattended for weeks, traffic lights were re-phased to cause as many hold ups as possible. 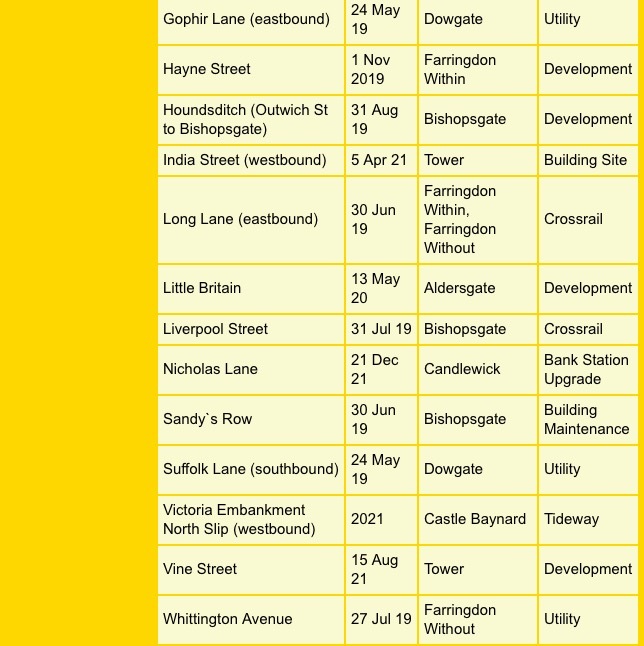 Ken also issued the statement to the utility companies that all unessential road works should be completed before the start date of CC as TfL would not give permission for any non emergency work for a couple of months after implementation. The Congestion Zone went live at half term when roads are normally quieter, this gave the illusion that his new charge was a massive success and he set about planning an extension to the west. But his plans were thwarted when he was replaced by Boris. Recently we’ve seen Khan use exactly the same tactics as Livingston. The amount of empty buses running around central London mostly empty, is scandalous. 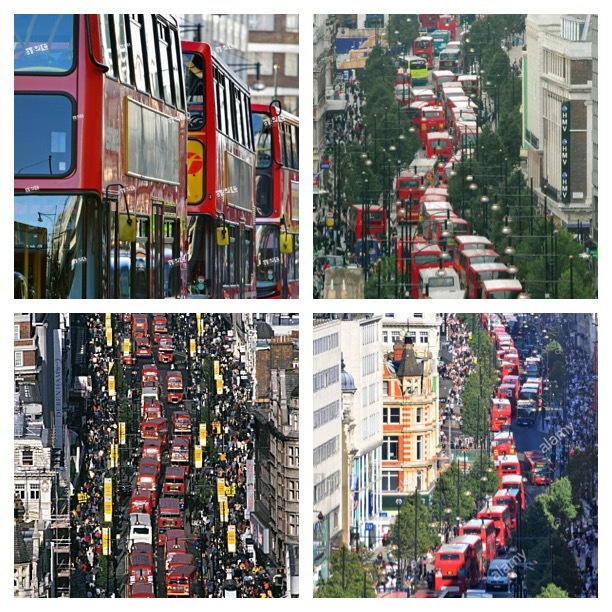 Oxford Street has become the most polluted street in Europe (so we’re constantly told) yet going by the photos above, the biggest culprits to the congestion on this street is constant stream of buses running along It day and night. Then Khan makes the statement that most of London’s buses are in fact green... yet pollution levels still break the European legal limit...when we recently had a bus strike, pollution levels on that day dropped by 50%. 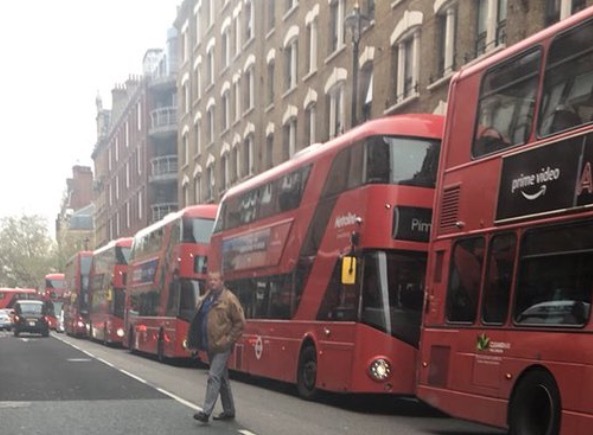 TfL sources have told us the batteries that have failed on Hydrid buses haven't been rep,aced because of the cost and buses are running on pure diesel. Just How a Toxic Is Londons Air Quality? The late professor Anthony Frew said in an interview on LBC that the reason we constantly break the European legal limit on pollution levels is because the limit is purposely set too low. 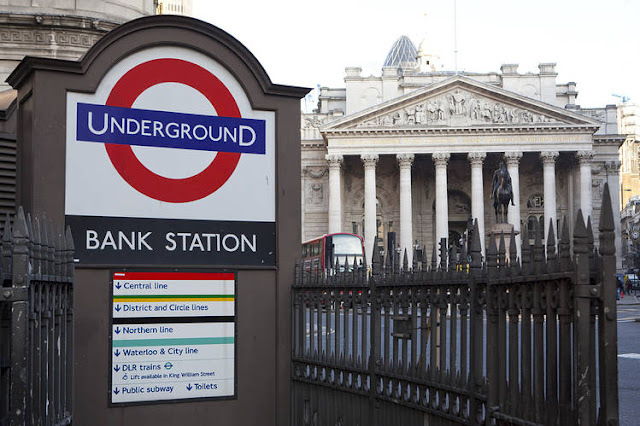 Fact : Not a word about the underground being 30 times more polluted than the streets above! 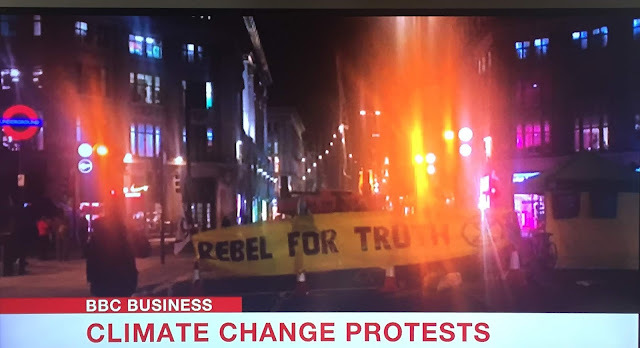 Did Khan tell the Extinction Rebellion he would fully support their protests if that said nothing about the pollution in the underground and stayed away from the tube exhaust outlets such as the one at Warwick Avenue? Fact : While 10s of thousands of police are minding these brainwashed children protesting with Khans support....17 young people were stabbed on London Streets yesterday! So, we now have the congestion charge and the ULEZ charge but London is still congested. One thing that Khan hasn’t done which Livingston did and that was to remove unnecessary road plant being left around the streets causing pinch points, he hasn’t re-phased the traffic lights to ease the flow.... why??? TfL are currently implementing mental traffic systems outside of central. In Greenford we have an unnecessary chicane in front of a small shopping centre where the road has been narrowed to accommodate a wider bus lane and two unused segregated cycle lanes, also the lights at a major intersection have been badly phased. This has resulted in traffic congestion for 15-16 hours a day, with less local parking for the local shops. These types of TfL funded scheme are spreading all over outer London. Many see the new charges as no more than a cash cow, it’s like charging for plastic bags in shops.... don’t ban, charge but make it affordable!!! 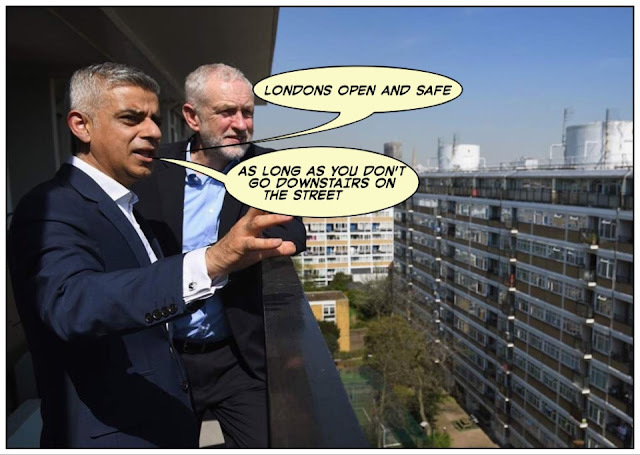 Could there be a reason behind Khan’s actions .... you bet your life there is....After the extension of the ULEZ zone to the North and South Circular Roads this will be followed by a further extension to the M25. Plus (we predict) the next poll tax style charging scheme on the horizon.... will be road pricing. After all TfL are a over a £1bn in the red and the money has to come from somewhere... and the somewhere is me and you. Is It Time Khan Was Removed??? London needs a strong Mayor who can stand up to the snowflakes on the loonie councils, a Mayor that will put the essential needs of Londoners first, and yet not bend over backwards to facilitate the ease of passage of multinational registered abroad who pay little to no tax in the UK. 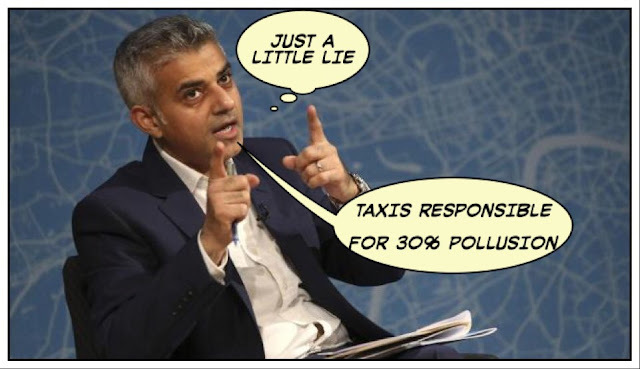 But his hatred towards the London Taxi Trade hasn’t gone unnoticed, in yesterday’s interview on the BBC Khan told interviewer Tim Donovan “I am always willing to meet with all protesters and protesting groups to discuss a way forward”. This is a blatant lie as Khan has constantly refused to talk to Taxi trade representatives over issues that affect out livelihood such as the ‘Where Buses Go, Taxi Go” 13 week protests. 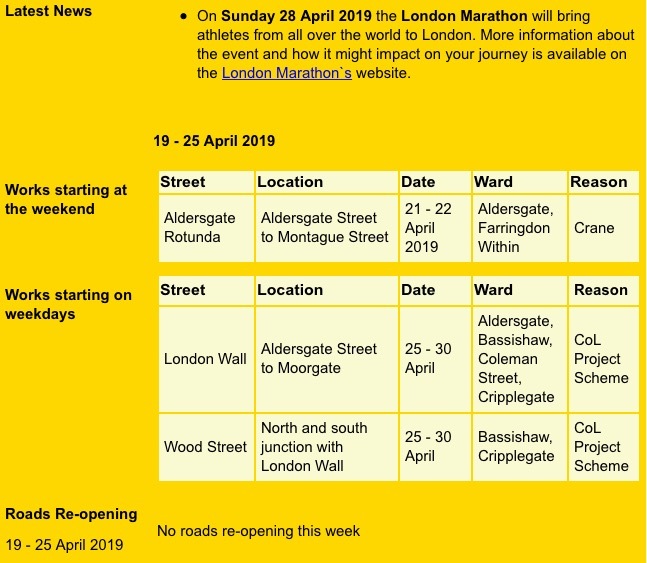 On Sunday 28 April 2019 the London Marathon will bring athletes from all over the world to London. More information about the event and how it might impact on your journey is available on the London Marathon`s website. 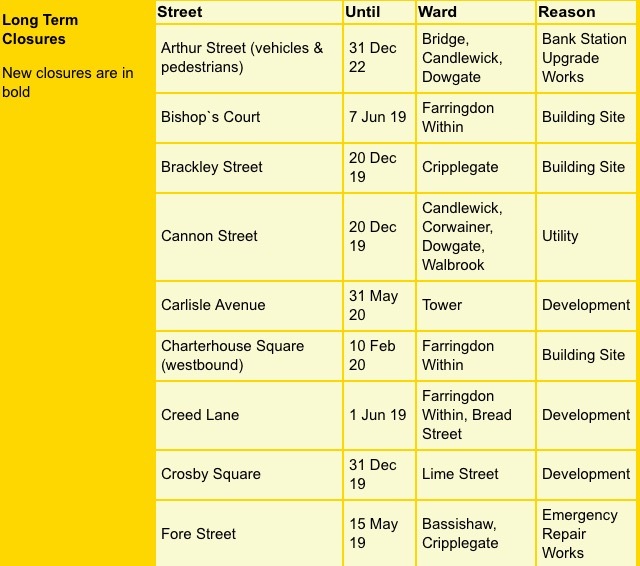 View our interactive map showing road works, closures and clear routes through the square mile. Holborn Circus, Holborn Viaduct, Newgate Street, King Edward Street, Montague Street, Aldersgate Street Rotunda, Aldersgate Street, London Wall, Wormwood Street, Camomile Street, Outwich, Houndsditch, St Botolph Street, Middlesex Street & Aldgate. Aldgate High Street, Aldgate, Fenchurch Street, Gracechurch Street, Bishopsgate, Threadneedle Street, Mansion House Street, Poultry, Cheapside, New Change, Newgate Street, Holborn Viaduct & Holborn Circus. Blackfriars Bridge, New Bridge Street, Ludgate Circus & Farringdon Street. BREAKING NEWS : LEVC Manchester To Close Over Extremely Poor Sales.....by Les Reid. LEVC MANCHESTER are closing down. Staff only told this week. According to our Manchester correspondent, sales have been extremely poor, those few that have arrived in Town (around 10) have been sold here from the Birmingham Franchise. The difficulty with the vehicle is that in the provincies like MRC, vehicles need to be Double Teamed (day and nights) in Liverpool much the same except, they call it 'short collar/ long collar'. Electric vehicles cannot really work here, example, when I get the Cab in the morning, I need it to be fully charged. Then before I hand the Cab over at teatime I need to have charged the Cab fully, and SO DO MANCHESTER'S OTHER 1100 cabs. How many charger's does anybody expect to find EMPTY at exactly the same time? 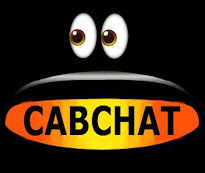 Interestingly enough LVEC have abandoned support for Diesel Cabs in the City, anyone with existing warranties on Euro 6 TX4s, will have to travel the 35 miles to Liverpool to have issue's dealt with. 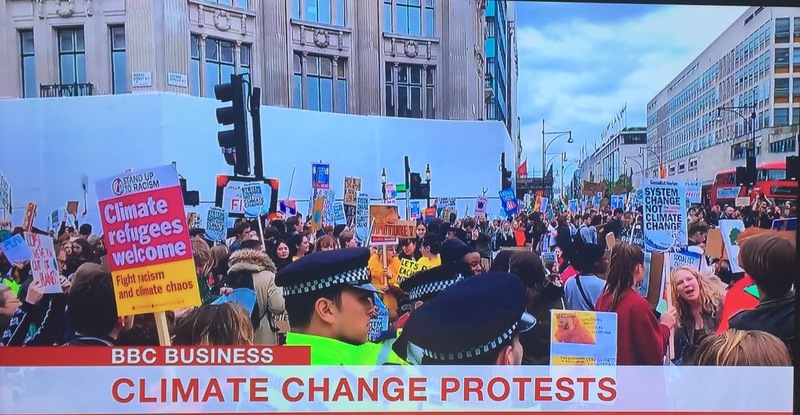 London Mayor Sadiq Khan stated on Sky News broadcast yesterday: "The Extinction Rebellion protests are "inadvertently" driving people away from using public transport to use Minicabs and other things". 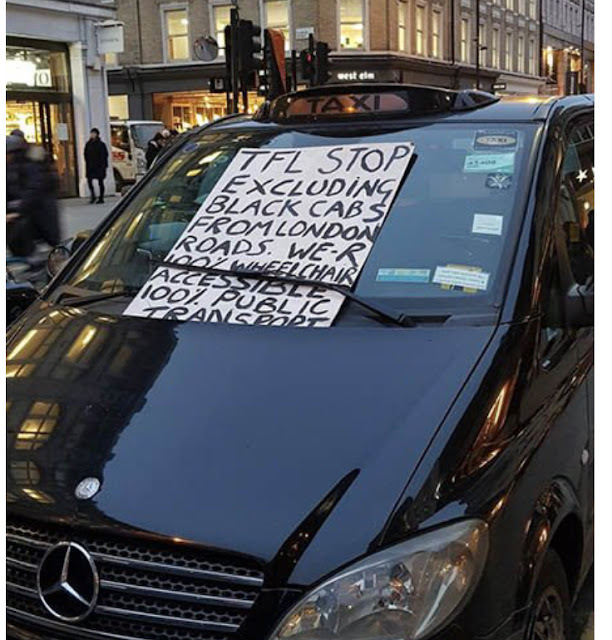 It would seem the Mayor, not satisfied with refusing to meet the Taxi trade and excluding us from his Transport Strategy....now finds it hard to utter the word TAXI. Is "OTHER THINGS" the new Mayoral term for the worlds best Taxi service? However, it's alleged the Mayor's office recognising the gaff, contacted press agencies that farms out stories to all the national and local press to get the word changed before it went on line or into print. Most local papers changed Khans word in their online site to "Taxi"
A Taxi Leaks roving reporter spoke to the police outside the Shell building yesterday, with regards to the damage being inflicted by climate change protesters. 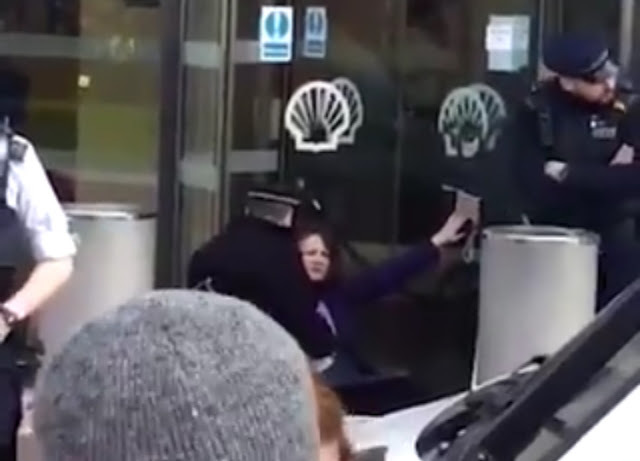 She reported : One climate warrior, supper glued his hands to the Shell Building main entrance doors. It was like talking to a robot.. the officer is standing next to a building covered in graffiti (criminal damage) there are two idiots on top of the ledge above the door, putting their own safety in jeopardy and yet a police officer is telling me, “this is a democracy and these people have the right to protest”. I asked why the police are not using the 1994 public order act to reclaim the streets back from the protesters as they have done many times in the past....The officer just kept insisting these people are not happy and have a right to be here?????? 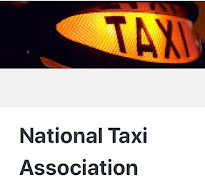 Funny, when the UCG held a series of Taxi demos in and around Westminster, the police invoked the Public Order Act and issued a number of section 12s and 14s.... putting a virtual stop on the organisers. But now it’s “these people have a right to protest and damage property because it’s a democracy”. Am I dreaming.. is this all a dream, will I wake up soon, or am I stuck on a bad trip entering the twilight zone ??? This county is unrecognisable I don’t want to sound like I’m paranoid but this isn’t normal is it? April showers are what we need right now, because these brave eco warriors won’t like getting wet. 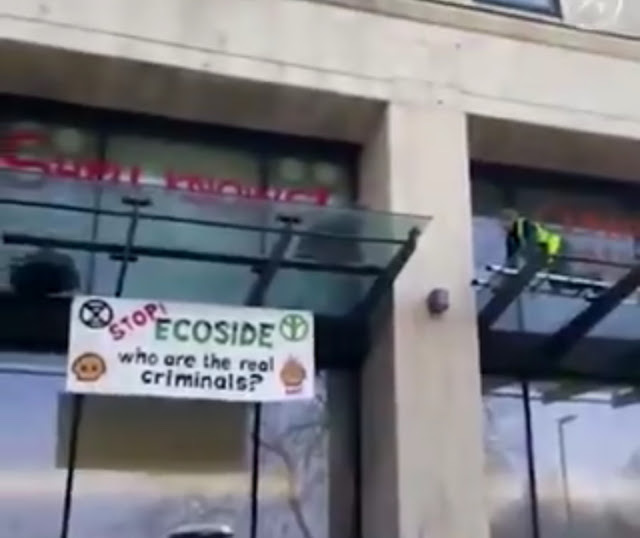 Ironically, these protesters are calling for zero carbon emissions.... yet they are using spray cans, spewing out PSPs which is thought to be one of the worst environmentally damaging gasses there is. This situation with the relaxed attitude of the police stinks again of contrivance from a certain Mayors office. Surely, the more publicity about the alleged pollution the better.... makes the ULEZ charge look respectable, instead of another Tax on the poor. Can we expect the same casual attitude from the police when we continue with the ITA protests? Will Taxis be allowed to completely blockade roads and not leave lanes clear for emergency vehicles. These protesters have completely blocked Marble Arch, Oxford Circus, Parliament Square and Waterloo Bridge, with the intention to stay there for a number of day (most likely till the end of next week).... should we block Tottenham Court Road without leaving a clear lane for emergency vehicles for a couple of weeks??? Would the police again sit back and say.... well it is a democracy !!!!! LATEST UPDATE FROM THE MET POLICE : STATEMENT ON EXTINCTION REBELION DEMONSTRATIONS...16/04/2019 13:30 BST. Speaking earlier today following the demonstrations in central London, Chief Superintendent Colin Wingrove said: “The Metropolitan Police Service is currently dealing with a number of demonstrations taking place across London. “We have officers out on the ground engaging with protestors and local communities to ensure proportionate policing plans are in place. “We need to ensure we are striking the right balance between allowing the right to a peaceful protest, while ensuring disruption to communities is kept to a minimum. 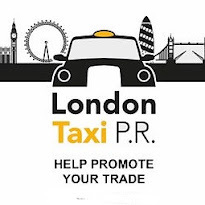 “We are mindful of the impact the demonstrations are having on the local communities and are working hard with partners including TfL to keep London moving and open for businesses and visitors alike. “At this time, ongoing demonstrations are causing serious disruptions to public transport, local businesses and Londoners who wish to go about their daily business. “As such a 24hour condition was imposed at 18:55hrs last night which stipulated that protestors should continue any demonstrations within the Marble Arch area only. “In order to impose this condition, the Met required evidence that serious disruption was being caused to communities in London. We so far have 55 bus routes closed and 500,000 people affected as a result. Based on the information and intelligence available at the time, we are satisfied that this threshold has been met and this course of action is necessary in order to prevent ongoing serious disruptions to communities. 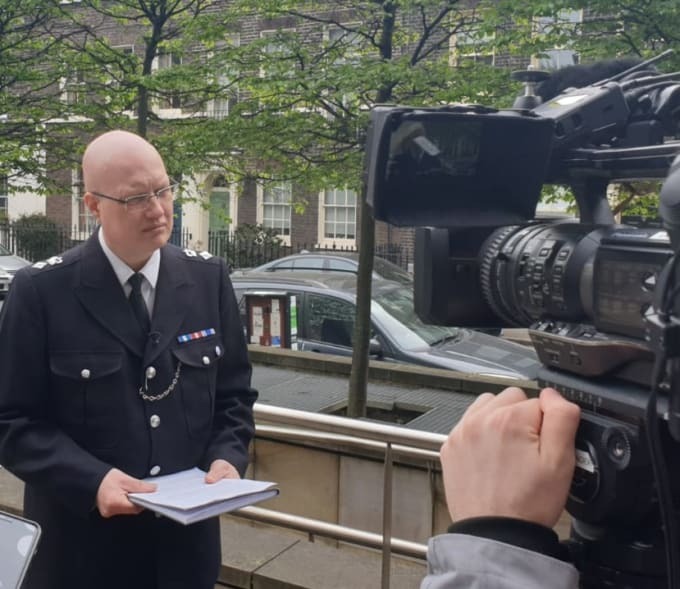 “We are taking positive action against those who are choosing to ignore this condition and are continuing to demonstrate in other areas across London. “At this time, we have made a total of 122 arrests. Five of which were for criminal damage following a disruption outside a commercial premises and the remaining 117 were made on Waterloo Bridge last night and in the early hours of this morning. The majority of these arrests were made for breaching Section 14 of the Public order Act 1986 and obstructing a highway. All remain in custody at this time. Proving that consultations are pointless, (they just have one, using pointed questions, then do what they like regardless)TfL have issued this statement below about Tottenham Court Road. On Saturday 20 April, sections of Tottenham Court Road will change to two-way traffic. From spring 2020, sections of Tottenham Court Road will become bus and cycle only in both directions between 08:00 and 19:00 from Monday to Saturday. Access to loading bays will be maintained via the northbound lane on Tottenham Court Road. Local businesses receiving or making deliveries should speak to their supplier about whether they can re-time deliveries to outside peak hours, or reduce deliveries by streamlining your suppliers and the number of visits they make to your premises. information, visit our travel advice page. Please drive carefully while pedestrians, cyclists and traffic gets used to the new system. For more information, visit our travel advice page. Let’s hope that pedestrians are not mowed down by buses in the new scheme, like we’ve seen along Baker Street and Gloucester Place. The £35m West End Project will begin in early March. Set to be the largest transformational scheme in the London Borough of Camden, the project will change not just how people travel in the Tottenham Court Road area, but how it looks and feels. Issues which have affected the area for some time, will be addressed, including poor air quality, traffic congestion, and a lack of public open space. Well, in our opinion, they haven’t ‘addressed all issues’... they have just ignored the problems residents and disabled road users have raised! This scheme is being push through on safety issues, yet the London Taxi Trade has the best safety record of any firm of transport using this Street. When fully implemented, Camden will be discriminating against disabled groups. 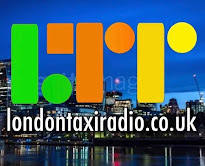 All London’s Taxis are mandated to be fully wheelchair accessible and is the only fully accessible service in Europe. 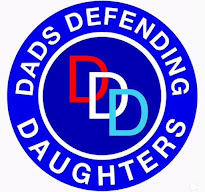 Had 10-15,000 drivers turned up to stand and fight beside the 4-500 faces who regularly answered the call for over 13 weeks.....then it's possible we would have had an even greater victory. This type of situation isn't going to suddenly stop, or get better.....do nothing and you will lose the streets for ply for hire in. You will no longer be able to honour the abstract of law that clearly states you must drop your passengers to the destination of their choice, a door to door service. 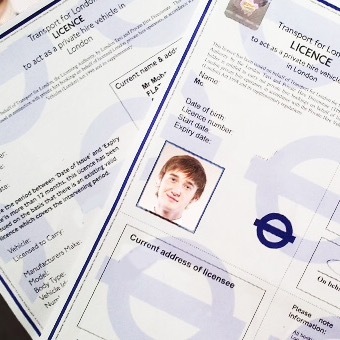 Camden's regulation from next year means you will no longer be able to fulfil your obligation under the Hackney Carriage Act. ITA protests are scheduled to start again on 8th of May.... Where buses go, Taxis go. These protests (which will now be supported by disabled passenger groups) will carry on indefinitely. They're Are At It Again : Will Khan And TfL Use Buses To Create Pollution In The Suburbs? Ken Livingston had the brilliant idea that before you can charge for congestion with public support, you need to create gridlock....and we all know what he did with the road works and the school holidays...."oh look I was right" he professed! 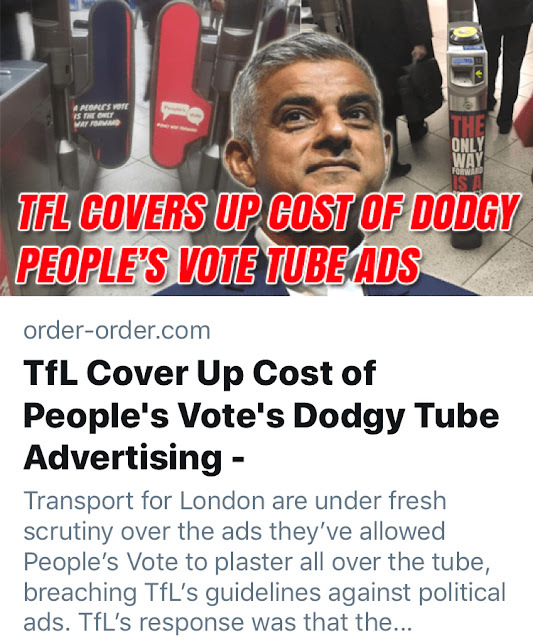 Khan, with the help of TfL has done virtually the same thing with the ULEZ charge. They used a massive expansion in bus services day and night, to ramp up emissions. Traffic signal phasing tweeted beyond belief, average speed limited, unnecessary segregated cycle Lanes inserted forcing most traffic to use limited road space, with monitoring stations in the most predictable locations to cause maximum congestion, therefore massive pollution. Emotional blackmail using lies about children's lungs in MSM and on massive billboards and the snowflakes were all over it. The BBC ran stories of school playgrounds next to main roads saying this was toxic air, poisoning the children's lungs. Yet research (buried) has shown that pollution levels in London are 40% less than 40-50 years ago. The late Tony Frew said London's pollution is currently at 14 units....the world average unit is 7....that's 7 even if you were in the middle of the Amazon Rain Forest! Currently London's traffic (that's all the traffic) contribute approx 2 units. The reason London's emissions are said to be illegal is because the limit is set purposely too low. If you were to ban all traffic completely, you would only reduce London's units by one seventh which would still have us above the legal limit. Tony states the figure of 40,000 preventable deaths in the UK is fake. They use what's known as Zombie statistics to calculate results that don't really exist. 40,000 people are not dying due to pollution. Research shows that the average person (who may live till the age of 80) may loose three days off their life span, due to pollution. Getting back to Khan, his next plan is to extend the ULEZ charging area out to the North and South Circulars.....this has been delayed to 2022 as Khan is up for re-election on 7th May 2020 and he obviously believes residents in the Great London area will revolt against him when they are forced (24hrs a day) to pay this new form of PollTax. So, to charge for the massive pollution in the suburbs (Sic) he first has to create massive pollution there....and what better way than the tried and tested use of hybrid buses running on pure diesel. After all, it worked in Central London! The ULEZ charge will net TfL billions and that's all it's about. As they say....Follow The Money!!! Well, there you have it in Khans own words. After they retro fitted the BUSES in Putney, the air quality improved by 90%..... 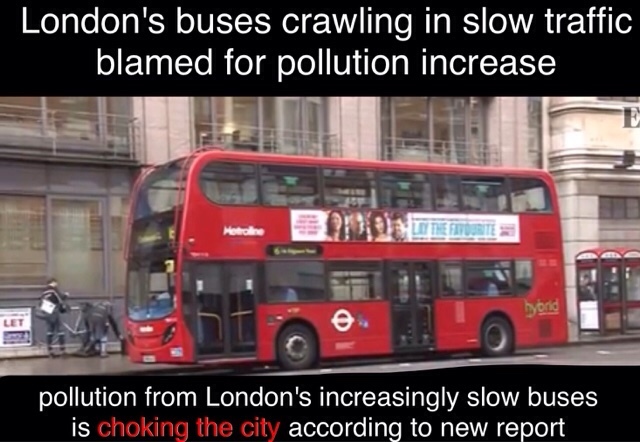 So that means that London's buses are the ones that are responsible for 90% of the pollution. It must be true.....it's come from the mouth of the Mayor! Surely he wouldn't be lying......would he??? See article below from MayorWatch.co.uk. Transport for London have confirmed that a series of cuts to the bus network are to proceed, despite opposition from local politicians, passengers and the capital’s transport watchdog, London Travelwatch. Last September TfL and City Hall unveiled plans to reduce frequencies on eight routes with a further three axed in their entirety. One new route would be created and five routes would see frequencies increased, but many others would either be ‘restructured’ or shortened, meaning passengers would have to switch buses mid-journey in order to reach their destination. Travelwatch expressed “alarm” at the proposals, warning they risked making the bus a less convenient and less accessible option for thousands of passengers, while London Assembly members and local councillors have also criticised the plans, with many backing petitions to save under threat routes. However TfL today announced that despite the widespread opposition, it would be proceeding with many of its original proposals, including shortening routes 3, 4, 40, 45, 59, 67, 134 & 172, axing routes 48 & RV1 and reducing frequencies on other routes. A proposal to axe the 271 route night service has been shelved and the agency will not go ahead with proposed alterations to routes 11, 19, and 22. TfL claims the changes, which will be implemented from June, will make the bus network “more efficient”. Don’t be a Mushroom !!! 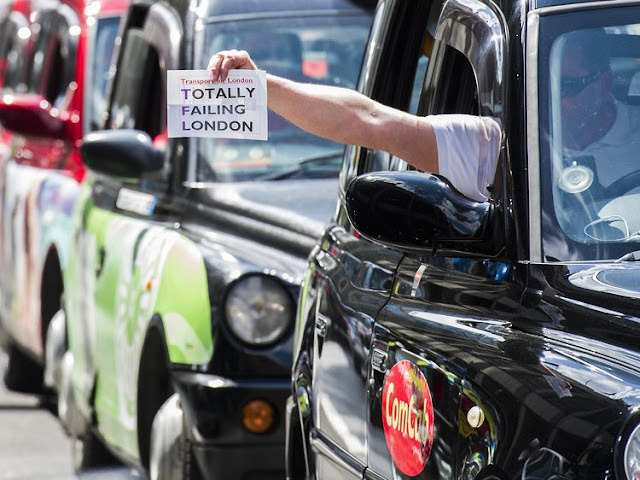 Our 'Where Buses Go, Taxis Go' protests will start again three times a week from early May. Listen Out For Venue Announcements On Twitter And FaceBook. Uber Do Not Actually Accept Bookings, But The Drivers Do... An Open Letter To Chief Licensing Officer (Head of Licensing) Sheffield From Lee Ward. Electric Vito From Mercedes-Benz : No Range Extender, 90 MilesMax...Electric Taxi? Euston Station Taxi Rank And Drop Off Moves To Euston Square Gardens West. Articles posted by or on behalf of third parties do not necessarily reflect the opinion of our editorial staff. More readers than all the other trade journals. © Around Midnight productions 2019. Picture Window theme. Powered by Blogger.